Anonymous Dystopia, two words combined became ADNYM. The line, deriving from The Green Line in Beirut, is our symbol of anonymity. 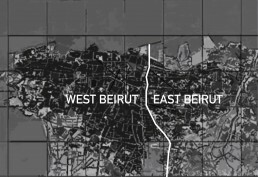 During 1975 to 1990 the civil war in Beirut divided the city into west and east due to religious and political disagreements . 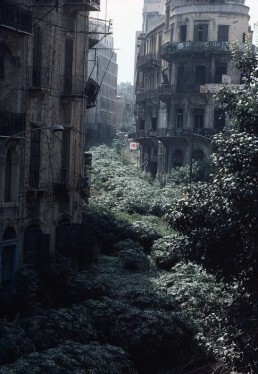 What separated the sides was a lush forest that grew along the uninhabited areas and created a “green line” from the coastline and throughout the city. Many of the buildings along the -green line- were severely damaged or destroyed during the war and the zone served as a no man’s land, a neutral area for those with a strong integrity who decided to belong to neither side. A state of being abstract in a concrete world. They were forced upon anonymity in a dystopian environment. This anonymity described is applicable on current events today, such as the social networks who grants the user ability (or inability) to seclude themselves, maintain an identity or integrity. As physical beings shape their identity through digital communication, are we becoming something abstract? Are we existing only when connected? The forest – something organic, growing in the midst of a war, that came to be neutral ground, inspired ADNYM ATELIER and its concept. Gender neutral products, for the intellectual individual with integrity.